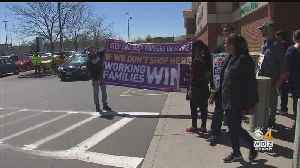 Some Stop & Shop workers and customers are expressing frustration. 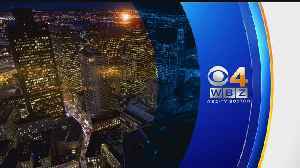 WBZ-TV's Louisa Moller reports. 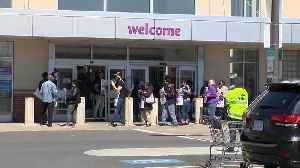 People are flocking to grocery stores ahead of a holiday weekend. 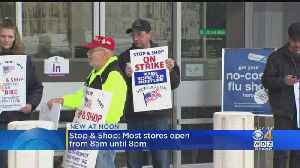 More than 31,000 employees authorized union leaders to call for a strike, affecting 240 stores in the three states. 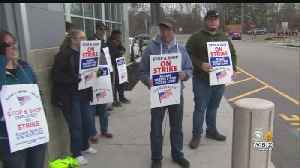 Thousands of Stop & Shop workers walked off the job and went on strike Thursday afternoon. 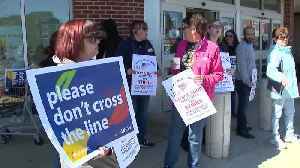 Some customers reported being told to leave their groceries behind and exit stores. WBZ-TV's Kristina Rex. 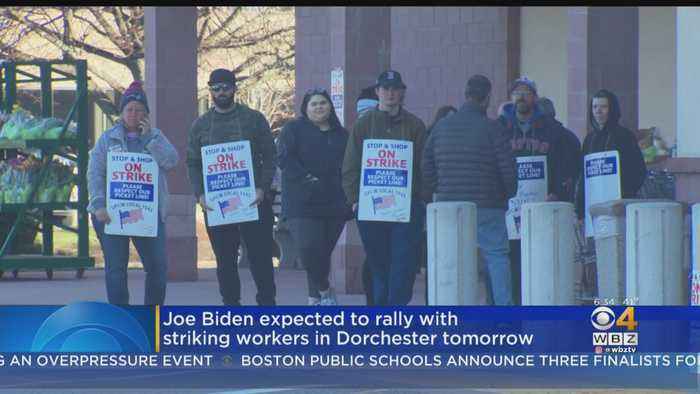 Stop & Shop workers go on strike forcing stores to temporarily close; Baseball coach at Xaverian Bros. High School charged with assaulting a player; 2019 season officially opens at Boston's two..